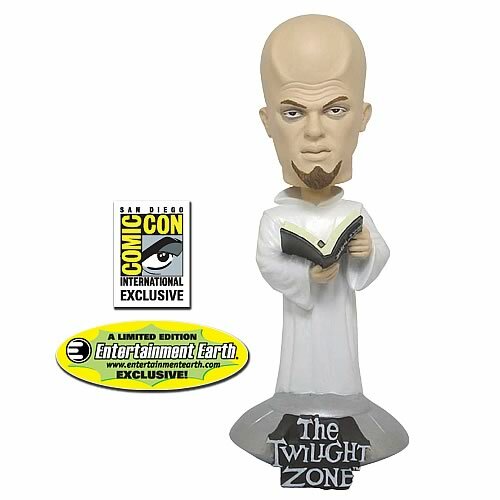 Continuing with our theme of The Twilight Zone bobble heads in color, our fifth and final exclusive The Twilight Zone bobble head for SDCC 2010 has been announced! It's our friend Kanamit, the "friendly" alien who actually has a cook book on how to serve humans. Limited to just 504 pieces, Kanamit will be making his debut at San Diego Comic-Con 2010. Based on The Twilight Zone's rather disturbing and fan favorite "To Serve Man" episode from 1962.